When you need the help of an Automotive Glass Installer and Repairer, it’s usually urgent! Whether due to theft or an accident, a broken car window makes your transportation and “home away from home” vulnerable to rain, snow, cold and criminal intent. The ability to fix this problem quickly and efficiently is a specialized skill in the field of auto repair. Glass installers carefully remove broken, cracked or pitted windshields and window glass. Then they prepare the edges of the replacement glass using a moisture-proofing compound. To finish, they place the glass into the vehicle, and install rubber strips around the sides of the windshield or window to make it secure and weatherproof. 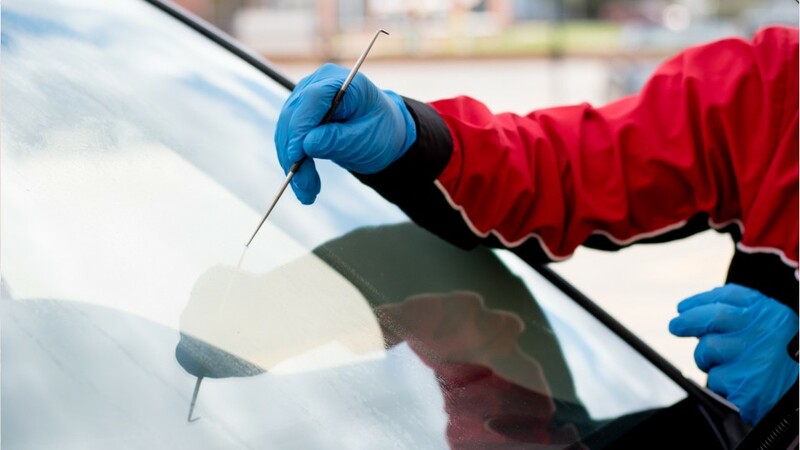 For less-damaged windshields, they may just patch small chips or cracks. Training for this field may be available on the job at a small auto body repair shop, or you can enroll in a collision repair program at a trade or technical school or community college. Industry certification may be required by some employers, and will likely bring higher pay. To advance in this field or run your own shop, you’ll need good reading, basic math, and computer skills. You will also need patience and precision to get the job done right, and send your customer safely on their way. See more details at O*NET OnLine about automotive glass installers and repairers. Automotive Glass Installers & Repairers by U.S. Department of Labor, Employment and Training Administration is licensed under a Creative Commons Attribution 4.0 International License.